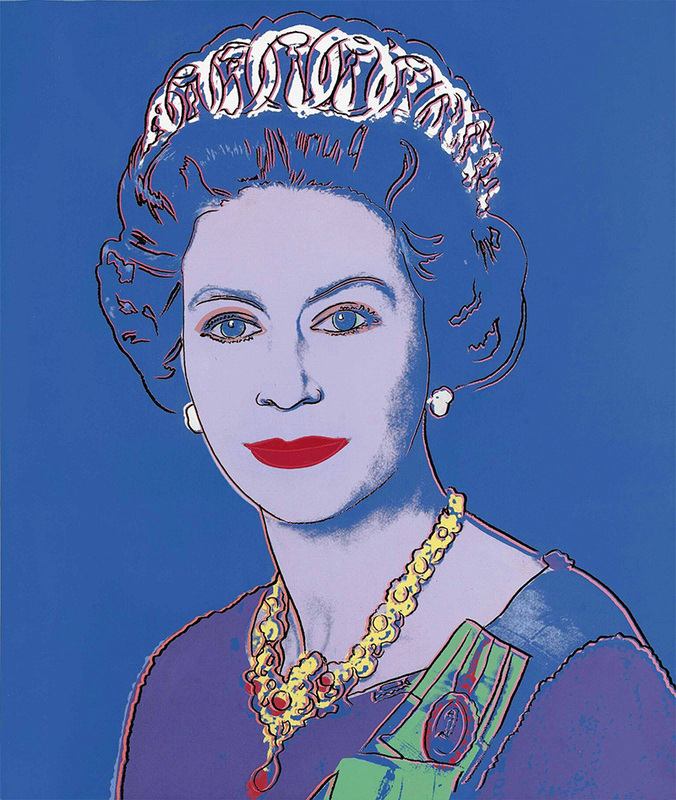 Andy Warhol, Reigning Queens: Queen Elizabeth II of the United Kingdom, 1985, acrylic and silkscreen on canvas, private collection.© 2018 The Andy Warhol Foundation for the Visual Arts, Inc. / Artists Rights Society (ARS), NY. Recounted in song, plays, novels, films and Lifetime television movies, the saga of the rise and fall of generations of British royals has fascinated commoners for centuries. Literary artists have chronicled those lives, but in the new exhibition at the Museum of Fine Arts, Houston, the portraitists have their painterly say, telling the 500-year story of an empire by depicting the heads that wear the crown. “This is primarily a historical exhibition, but the history is told through works of art,” explained Tinterow at a preview walkthrough of British Royal Portraits, while expressing gratitude to the National Portrait Gallery, which very rarely loans this many artworks from their collection. Marcus Gheeraerts the Younger, Queen Elizabeth I (“The Ditchley Portrait”), c. 1592, oil on canvas, National Portrait Gallery, London.© National Portrait Gallery, London. “Never before has there been such an important and representative exhibition devoted to historical images of the British monarchy, anywhere. Here it is in Houston, Texas,” said Tinterow. Organized chronologically to include the four royal dynasties since Henry VII married Elizabeth of York to end the War of the Roses, the exhibition invites visitors to gaze into the eyes of kings and queens, their royal offspring, and various lovers and hangers-on of the Tudor, Stuart, Hanover and Windsor families. Taken separately, many of those portraits depict nobility marred by tragedy; taken together, they portray an epic of survival. 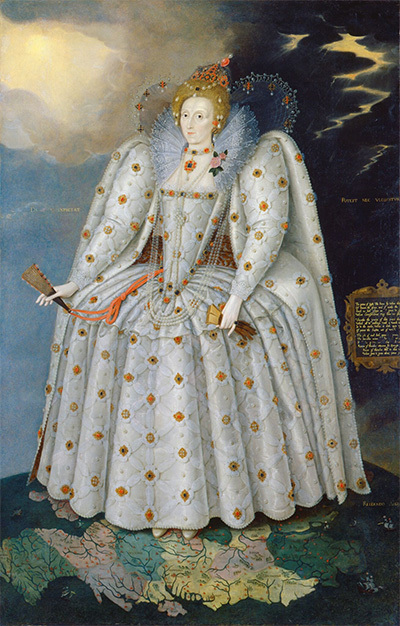 Museum-goers might need to suppress the urge to give a slight bow to the first portrait they’ll encounter entering the exhibition: Queen Elizabeth I (“The Ditchley Portrait”), the magnificent depiction of the great queen as a giant regally standing atop England. Yet, British Royal Portraits really begins in this first gallery with Elizabeth’s grandfather and grandmother, Henry VII and Elizabeth of York. While anyone with a passing knowledge of British history will probably recognize the historical significance of the marriage between Lancaster and York, those warring roses, the exhibition also highlights the massive change in the realm of portraiture art during this era. “Portraits up until this time were pretty generic,” explained Bomford. “There wasn’t much attempt at getting facial accuracy.” Yet with the fabricated reproduction of Pietro Torrigiani’s Henry VII and Elizabeth of York funeral monument, as well as a painted portrait of Henry, we see the beginning of a long line of portraits that attempted to capture not just the likeness of royalty but perhaps even their personality and temperament. 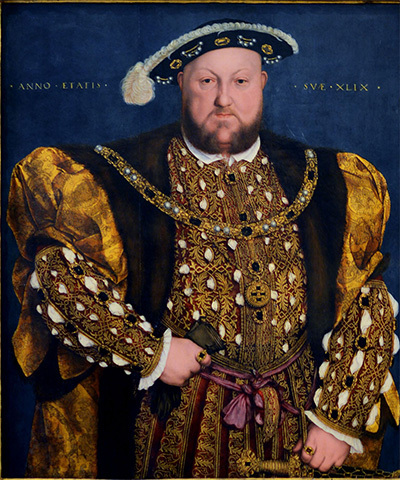 Hans Holbein the Younger, Portrait of Henry VIII, 1540, oil on wood, Palazzo Barberini, Rome. Centuries later during the reign of Queen Victoria, royal portraiture experienced another monumental shift as the Queen and her Consort, Prince Albert, allow a new object of technology into the palace to document their lives: the camera. Having gained entry into the court of portraiture, the photographer co-ruled with the painter. The exhibition ends with a photograph of a smiling Prince Harry and Meghan Markle. 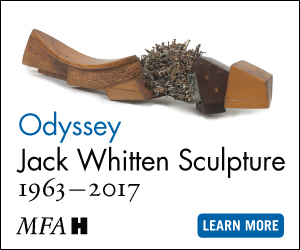 With some help from the MFAH wall texts, we also begin to see the story of a country, and an empire, unfold before us from the faces of its rulers, as well as lost possibilities and unrealized futures. British Royal Portraits makes many stops along the way between monarchs to meet those golden but sickly princes who would never or only briefly rule and ruling lines ended from lack heirs or religious conflict. The exhibition also presents portraits of those powers behind the throne, the prime ministers, advisors and the many “favorites,” royal lovers and companions who make these stories so intriguing. Yet through each gallery, Tudors to Windsors: British Royal Portraits reminds us it is the artists—some later knighted for their troubles and achievements—who make these living and long-dead royal characters into real humans, albeit spectacularly dressed ones. While telling the story of the British monarchy, the exhibition celebrates the artists—from Hans Holbein to Andy Warhol; from Sir Peter Lely to Cecil Beaton; from Sir Joshua Reynolds to Annie Leibovitz—for they gave history many a face.